I used to be pretty intimidated by her. That mythological, super organized, homeschool poster mom. You know the one: she’s got her daily schedule all worked out in 15-minute blocks. She’s even got the next 12 months of her family’s read alouds chosen, scheduled, and on reserve at the library. While that image may be a tad exaggerated and sarcastic, there’s still this notion out there that homeschool planning is this big behemoth that requires tons of time, energy, and mental stress in order to have a successful homeschool. I’m constantly hearing that in order to have a well-run homeschool I need to dedicate a whole day (or even a week!) to creating a plan and schedule for our year. Does this sound intimidating to you too? Maybe hearing all about complicated homeschool planning methods leaves you feeling somehow unqualified to homeschool? Are you spending hours each weekend trying to figure out your lesson plans for the upcoming week, exhausted and feeling like you’re failing miserably? Homeschool Planning Doesn’t Have to be So Hard! 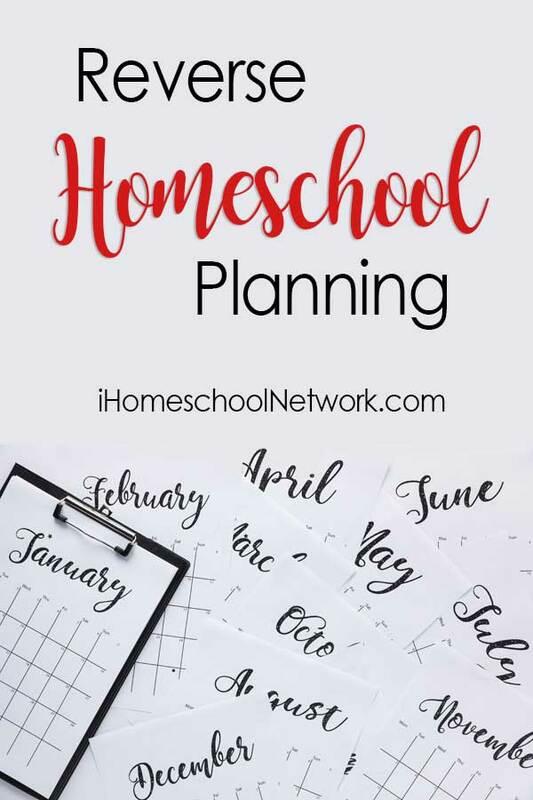 If you’re intimidated by the whole planning process and the conversation surrounding it, I’d like to lighten your load a little bit and let you in on a secret: homeschool planning doesn’t have to be that hard! I’ve never dedicated an entire day to planning our homeschool year. And I no longer spend my Sunday afternoons or evenings stressing out over what and how I’m going to teach my children each week. Yet our homeschool days proceed in an orderly and routine way, our curriculum gets covered, and I’m not stressed out. There are easy ways to organize your homeschool, children, and yourself. Divide the number of chapters/lessons in your chosen resources by the approximate number of weeks you plan on doing school. Now you have an idea of about how many times per week you need to cover that subject to get through it in a year. Don’t be overly ambitious and overfill every day, week, or month. You need wiggle room. Chose open & go curriculum and do the next thing. Assign independent work daily to younger children and weekly to older/middle grades as they become more independent. Review your calendar & plan weekly to limit the amount of re-planning you will have to do due to learning struggles, impromptu field trips and rabbit trails. Simplify the homeschool schedule — combine kids when able, cover fewer subjects. Stop trying to create “perfect”. Your kids aren’t going to remember all the coordinating projects. What is reverse lesson planning and why do it? This is my favourite homeschool planning method. Reverse lesson planning is when you simply write down what you accomplished each day rather than filling your planner ahead of time with what you will cover each day. It’s especially useful in skill-based subjects where you simply cannot always know how quickly your child will progress. There isn’t much point in dividing your phonics curriculum into daily or weekly lessons and progressing according to your schedule — you have to progress according to your child’s unique learning schedule. No more replanning, crossing off, erasing, or whiting out weeks worth of plans in your planner. No time wasted making plans you won’t use. No feeling discouraged or defeated when your carefully laid out plans don’t work out. Because, as they say, the best-laid plans do go awry. Writing down what you did and looking back on it periodically helps you track or monitor your child’s progress. I often find myself wondering if my 8-year-old will EVER become a competent and independent reader — I only have to look back a few months in my planner to see her steady progress and how far she has come. The key to planning your successful homeschool? Do what works for you and your family. I hope that seeing how I plan our homeschool will help you find what works for you and make your homeschool planning less stressful. What are your best tips for simplifying planning for your homeschool? 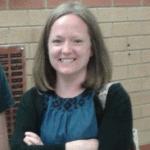 Alison is a Canadian homeschooling mama to three sweet girls. She views homeschooling through the lens of discipleship, education as a lifelong endeavour, and is thankful that she can begin each day anew by the grace of God. She's a lover of good books, all things chocolate, and the great outdoors. Pretty much in that order. Alison also loves to write and share ideas which she does at her blog, Learning Mama.